If it rains, the event will be held at Holy Trinity Church Hall from 3.00pm. There will also be a stall selling home produce; and a raffle. 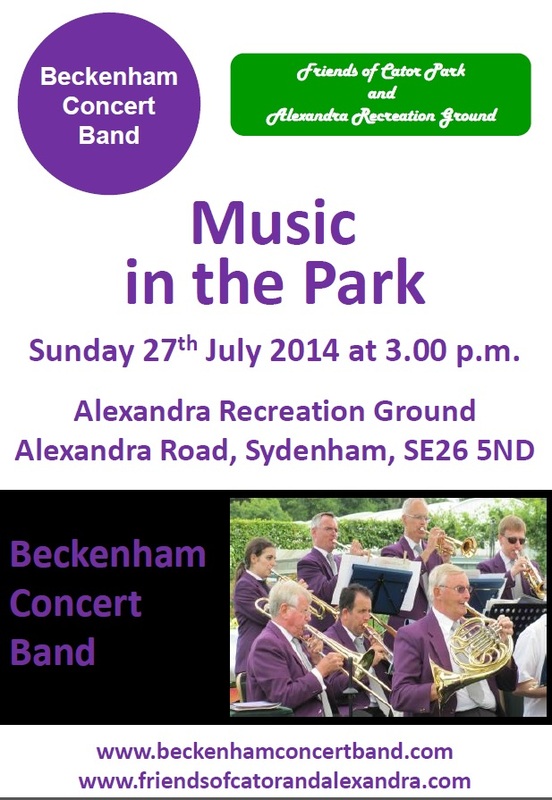 Thank you for advertising our music event this Sunday in Alex Rec with the Beckenham Concert Band but could you please state that if it rains, the event will be held in the Holy Trinity Centre from 3.00pm. There will also be a stall selling home produce; and a raffle.